Issue 12 of our online coaching magazine Pass it On is now out, packed full as ever with great articles. 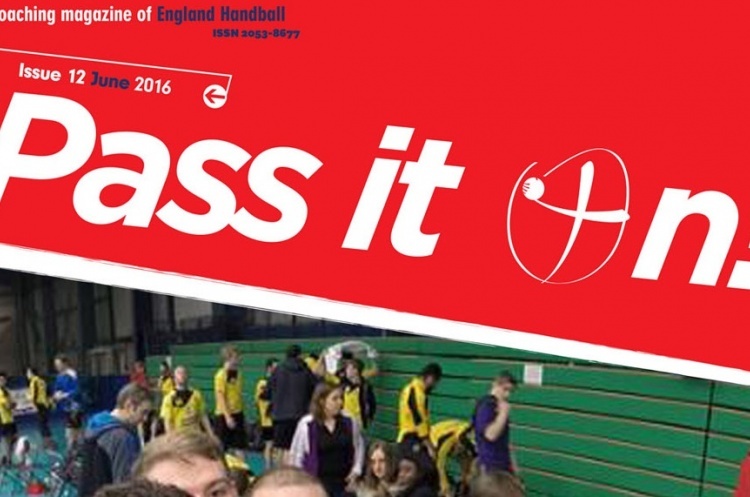 Pass it On explores Try Handball, England Handball’s initiative to get more people active. England Handball 2015 Female Coach of the Year Ilona Loewnau has been on an amazing coaching journey. Pass it On spoke to her and heard how she returned to coaching and the joy it brings her. Saving shots from the wing is one of the trickiest areas for a keeper. London 2012 Team GB Handball captain Bobby White gives Pass it On a great drill for coaches working with keepers on this area. To read issue 12 please click here.